The emerging healthcare industries are experiencing stellar modification in monitoring patients. 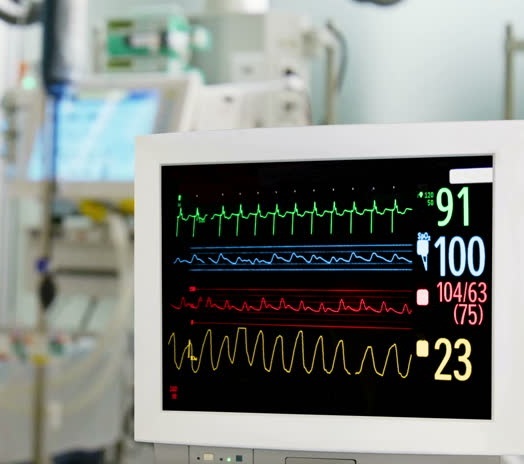 Patient monitoring system is the term used for all the devices that is used to examine and observe patients, their physiological function and supervision. Some devices are used for alerting physicians and doctors if any patient is in critical stage. Patient monitoring devices are used when there are cases of drug overdose, symptoms of heart attack and growth in chronic diseases. Global patient monitoring system market is at emerging pace because of vast adoption of monitoring devices in healthcare industry. Asia Pacific holds 20% market share in patient monitoring system market in 2016. Japan is the largest country that dominated the Asia Pacific patient monitoring system market in 2016 followed by China, India and Korea. Recently, Korean scientist have developed “electronic skin” device for the first time in the world. When the device is put on skin, it can monitor biostatic information of patient 24/7. It can also be connected to smart phones. A latest heart attack controlling device was launched by Omron healthcare Inc, a Japan based company in 2016 to help heart patients. The company aims to reduce the number of heart patent to zero by focusing on elimination of heart attacks and strokes. Omron Healthcare is the global leader in treatment of heart health issues. The market of Asia Pacific Patient Monitoring System is mainly driven by the factors such as increasing number of chronic disease in Asia Pacific as two in three deaths were from chronic disease worldwide in 2016. Nevertheless, there are certain factors that restrict the market from growing such as lack of trained staff and physicians. Global patient monitoring system market is expected to reach USD 28.01 billion by 2024 from USD 14.21 billion in 2016 at a CAGR of 5.9% over the forecast period out of which APAC patient monitoring system market holds 20% market share in 2016. Asia Pacific patient monitoring system market is anticipated to reach USD 5.06 billion by 2024 from USD 2.84 billion in 2016 at a promising CAGR of 10.49% over the forecast period. On the basis of devices, cardiac monitor are accounted for the largest share of around 25% in Asia Pacific patient monitoring system market in 2016. This is due to rising cases of heart attack in South Asia including India. Market value of cardiac monitor is USD 0.71 billion in 2016 and is anticipated to reach at USD 1.26 billion by 2024. Based on the country, Japan is the largest country in Asia Pacific patient monitoring system market followed by China, India and Korea. Japan alone holds 30% market share of Asia Pacific patient monitoring system market in 2016. This is due to variation and innovations made in technologies by key players of Asia Pacific patient monitoring system market in Japan. Patient monitoring devices help in controlling increasing number of death incidents caused by heart attack as two out of three deaths worldwide is caused by heart attack, increase in geriatric population, urge for home healthcare devices and growth in chronic diseases are the key factors that drives the demand of APAC patient monitoring system market. The major restraint that curtail the growth of Asia Pacific patient monitoring system market are lack of trained staff and personnel, lack of reimbursement policies and high cost of devices.